Lac Lawrann Conservancy (LLC) took root in 1955 when the late Lawrence and Ann Maurin bought 20 acres of abused and neglected land near the heart of West Bend. Glaciers left the till and beautiful features, and the Maurins saw the property’s potential. They carried out their vision for the land’s future over the next 25 years. Lawrance and Ann planted thousands of trees, dredged a shallow lake to restore open water, and realized their goal of creating a wildlife sanctuary. In 1979, the Maurins donated their property to the West Bend Park, Recreation and Forestry Department with the stipulation that the land be managed and maintained as a conservancy. 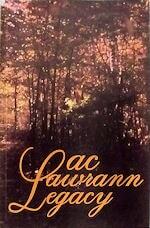 Lac Lawrann Legacy is available for $10 during events at the conservancy. All proceeds go to the Friends of Lac Lawrann Conservancy, Inc. It was fifteen years before the first Earth Day, and interest in preserving natural areas was just beginning. It was at this time that Lawrence and Ann Maurin, a middle-aged couple who enjoyed camping but felt crowded by the increasing numbers of people at public campsites, decided to buy their own piece of land. This decision to buy twenty acres of neglected Kettle Moraine hills and wetland near Milwaukee, Wisconsin, enlarged their appreciation of nature and ultimately led to the formation of a nature conservancy. Lawrence and Ann worked to restore what had been a local dumpsite to its natural state so that birds and animals once more came to visit. Ann, who had a natural gift of writing, chronicled their activities and the return of the animals in yearly Christmas letters. These letters were sent to friends around the world. This book reprints Ann’s Christmas letters with a prologue and epilogue about their Conservancy. It tells in a happy, gentle way how two people who loved the out-of-doors restored a piece of this earth. 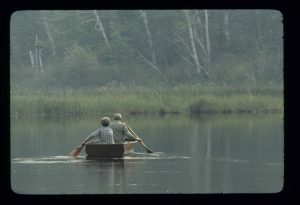 From humble beginnings, Lac Lawrann Conservancy has grown to 136 acres connecting people wiuth nature. With glacial landforms, deciduous woodlands, tall grass prairie, wetlands, lakes, ponds and a pine plantation, Lac Lawrann provides the experience of “wilderness” within city limits. Lac Lawrann Conservancy serves as a wildlife sanctuary, outdoor classroom, and hub of passive recreational activities. Renovated facilities at the Conservancy include a farmhouse used for volunteer activities, and a barn that provides three-season space for limited classes, gatherings and exhibits. Much has been accomplished over the past years and much more is yet to come. To help maximize its service to the community, the Friends of LLC built the Maurin Center which opened in 2013. Southeastern Wisconsin is Potawatomi land in the Northwest Territory. There is evidence that American Indians have occupied the area for centuries; and the spring-fed lakes, ponds and the river of what will be the Lac Lawrann area was an attraction. The Potawatomi cede eastern Wisconsin lands to the national government in exchange for land west of the Mississippi. The lands of the area are mapped and divided into townships, sections, and quarter sections by U.S. surveyors. The Wisconsin Territory is established, incorporating what will be Wisconsin, Iowa, Minnesota and parts of the Dakotas. A road through the wilderness from Milwaukee to Fond du Lac is surveyed. It soon will open the Barton area to setters from New England. European immigrants will soon follow. William Caldwell acquires 40 acres of future Lac Lawrann for $1.25 an acre. Wisconsin is named a state. Andrea and Walburga Schmidt, German immigrants, purchase much of the “Lac Lawrann” land. Their descendants will live on the land until 1986. The road running past the farm was named after the family. The Chicago Northwestern Railway is completed. It runs along the river to the south of Schmidt Road. Pete Ciriacks buys the land east of the spur including the pond which he modifies for muskrat farming. The muskrat venture was abandoned when Pete entered the Armed Forces in WWII. The now abandoned “spur” area has turned into an unauthorized disposal site for residents of the area and is littered with debris of all kinds. It also is serving as a convenient location for squatter’s shacks. Lawrence and Ann Maurin purchase 18 acres including the spur easement and pond naming it Lac Lawrann. They will devote countless hours clearing the property of junk, and improving the habitat. They will however, accommodate Fritz, a friendly squatter. 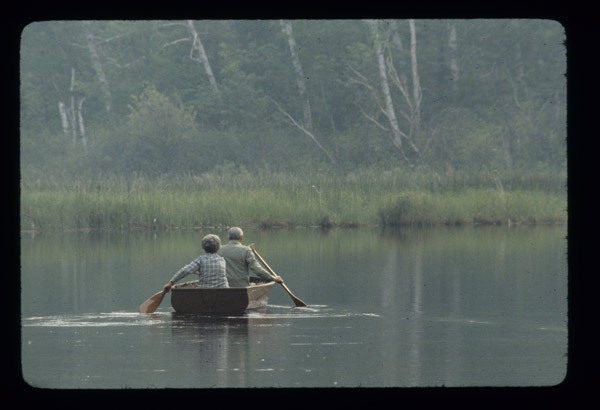 The Maurin build their retirement home at Lac Lawrann, and will continue enhancing habitat. Maurins donate Lac Lawrann to the City of West Bend as a wildlife and conservancy area. The West Bend Park and Recreation Commission creates the Lac Lawrann Wildlife and Conservancy Policy Committee to oversee a conservation and management plan to preserve, maintain, and enhance native Wisconsin flora and fauna. The first annual spring flower sale is held at Lac Lawrann. A study for renovating the Schmidt barn at Lac Lawrann into a nature center is completed. Estimated costs totaled $440,000. Friends of Lac Lawrann Conservancy holds the first annual fall “This Old Barn” bluegrass music fundraiser at the Conservancy. Story Time in the Schools environmental ed program begins. The West Bend Park, Recreation and Forestry Department makes the Conservancy Naturalist a full-time position. The 31-acre Rainbow Lake parcel is acquired by the City of West Bend for Lac Lawrann Conservancy in exchange of $490,792 in park fees collected from the Rainbow Lake Condominium development. Friends of Lac Lawrann decide to preserve the barn as a barn and raise money to build a new 8600 sq. ft. nature center just north of the barn. Volunteers complete work to renovate the Schmidt farmhouse into a volunteer center with a modern toilet, small kitchen, restored front porch and entrance, and electric heat. Barn renovations and repairs are completed at a cost of $120,000. A $60,000 Sunrise Rotary Foundation grant was received to support the project. 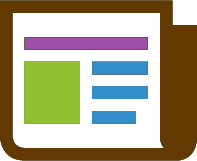 Two new education programs, an evening lecture series and a 6th grade science program, are implemented in conjunction with Riveredge Nature Center. Learning Center construction begins as fundraising continues. 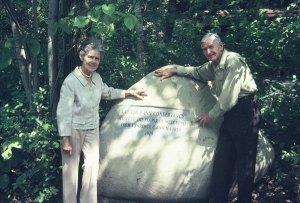 In August 2014, the building was officially named Maurin Center in recognition of Lawrence and Ann Maurin, founders of Lac Lawrann Conservancy.